This 1-hour recorded webinar led by Susan Norwell will cover the 4 basic questions (as illustrated by Karen Erickson and David Koppenhaver) that help determine if your student/child is an Emergent reader or ready for Conventional reading. 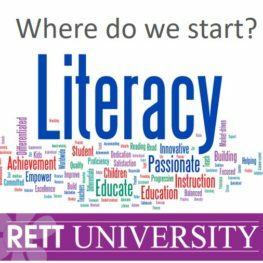 Literacy learning is too essential to all students and individuals with complex needs to not sort out. Participants will receive a comprehensive resource tool including handouts, classroom literacy checklist and IEP goal examples that support robust emergent and conventional literacy learning.